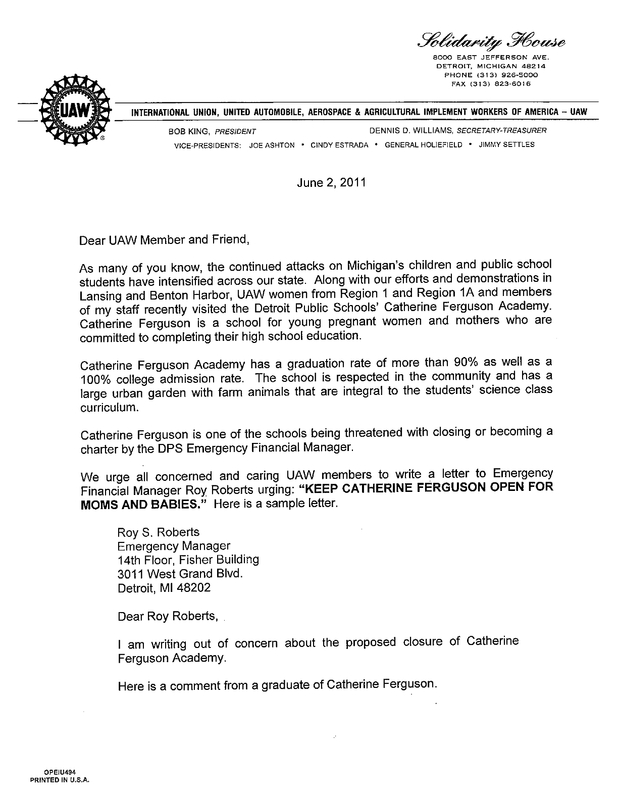 For community members interested in supporting the Catherine Ferguson Academy’s campaign, the school principal has set up a fund to make monetary donations: Checks can be made out to Catherine Ferguson Academy with “CFA Foundation” in the memo. 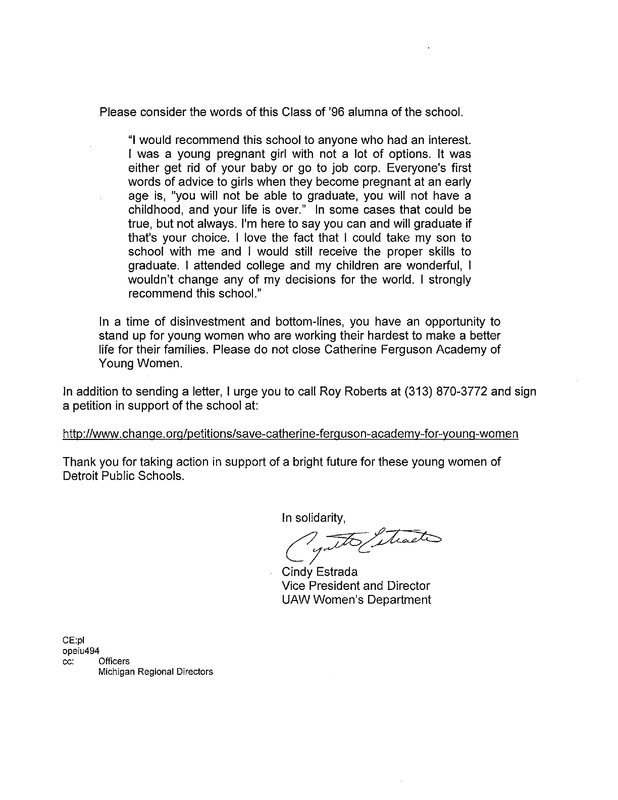 Send to: Catherine Ferguson Academy, 2750 Selden, Detroit MI 48208. Local activist Evan Rohar’s map of the DPS “Renaissance 2012” plan. A work in progress. Contact critmom@gmail.com if you want to contribute to the ongoing development of this mapping project. 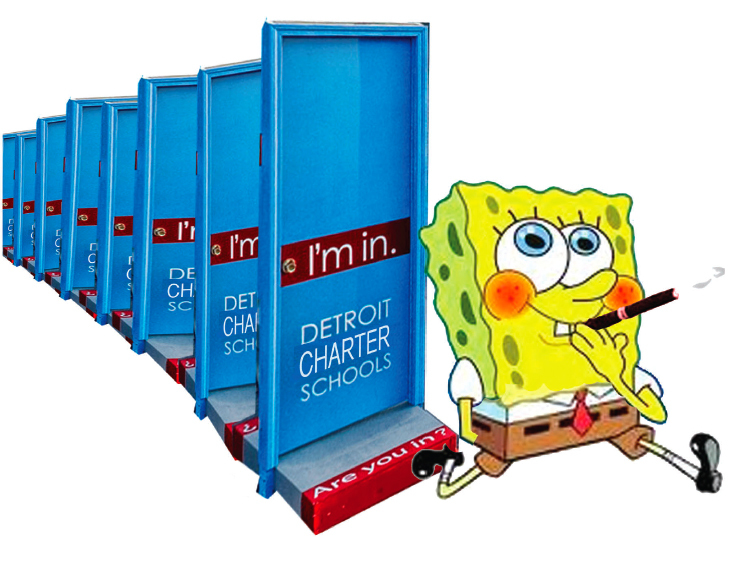 The “Request for Proposals” released by the National Association of Charter School Authorizers, the Chicago-based organization contracted by Detroit Public Schools to evaluate charter bids on district schools. The text of the Michigan Public Act 4, aka “Emergency Manager” bill, signed by governor Rick Snyder on March 10, 2011.